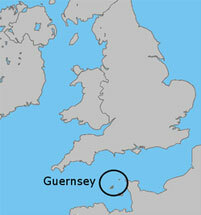 Guernsey is a small island (about 50 square miles) in the English Channel off of the coast of Normandy. It is a British Crown Dependency. Sisters of Mercy have ministered in Guernsey since 1868 when a foundation was established on Cordier Hill by sisters coming from Brighton, England. The sisters established a primary school within that same year. In 1890, sisters from this community in Guernsey were sent on mission to establish the foundation in Alnwick in northern England. Today, eight Sisters of Mercy live and minister in Guernsey, and they form an independent congregation that belongs to the Great Britain Federation of Sisters of Mercy, which was founded in 1969. The Sisters of Mercy ran an infant and primary school for children aged three to seven until July 2005. The school of 80 students was closed due to a lack of younger sisters to continue the ministry, but another Catholic school in the area was able to expand their services to include this age population. To the extent that is possible, some sisters continue ministering in the area of education at the local Catholic primary schools. 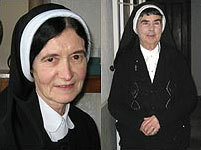 In addition, all of the Sisters of Mercy in Guernsey are involved in prayer ministry and maintain a regular horarium.